Lighting, traffic patterns, width of goods, pattern match, seam placement and multiple other factors must be considered when calculating yardage requirements. One little mistake or omission can add up to large profit losses for you as a designer. We will measure your clients’ homes for rugs or for wall-to-wall applications and provide you with accurate quotes. Our professional team of experts specializes in the installation of high-end woven carpeting and stair runner fabrication. We can handle residential and commercial applications of any size. Our fabrication capabilities include, taped and hand sewn seaming, binding, serging, beveling, border application, fringe application, and the application of end caps to runners. We will properly wrap and ship your finished products to your clients’ homes located outside the metropolitan Atlanta area. Quality rugs need quality cleaning so we provide professional hand washing so that your clients floor coverings stay looking their best. In addition to our residential products, we offer a variety of carpet and hard surface commercial products available in a wide range of price points in both custom and "quick ship" products. Our commercial installations include churches, office spaces, health and assisted living facilities, restaurants, night clubs, and country clubs. 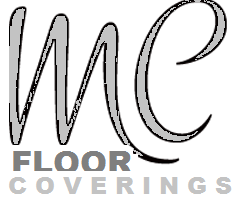 We simplify the floor covering process for you. We will handle everything from accurate measurements to professional installation. Please contact us for assistance on your next project.